Good morning and happy Saturday, beauties! What is everyone up to this weekend? I grabbed drinks and a late dinner with a few friends last night and went to bed way past my usual bedtime. ;) But it was definitely worth it. Today is pretty low key for us -- just some errands to run. Tomorrow we are heading to an Okotoberfest with some friends and all of the kids! + Baby names. I had a post published earlier this week on Today's Parenting Community page explaining a little about why we chose to keep our baby names secret until the girls were born. Check it out and let me know what you think! Did you (or would you) keep your names a secret or announce them beforehand? + Carrington in Parents magazine. 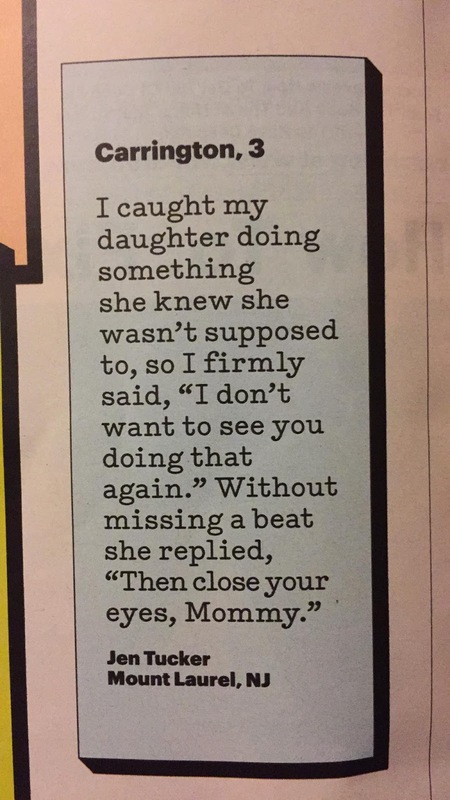 We all know toddlers and preschoolers say the funniest things. Three months ago, I submitted one of my favorite things Carrie's ever said to the Bloopers contest in Parents magazine and eventually forgot about it. Well, a friend (Hi, Gretchen!) posted on my Facebook last night that she saw Carrington in the November issue of Parents, and sure enough I had the issue on my nightstand so I flipped to that page and there she was! Too funny! I'll have to tear it out and add it to her "baby" book. + A quick and tasty dinner. When I think fall and winter, I think comfort food: warm, cozy, filling meals. But those aren't always the easiest or quickest to cook! One of my go to comfort food recipes (and, I'll warn you, it sounds gross -- hear me out!) 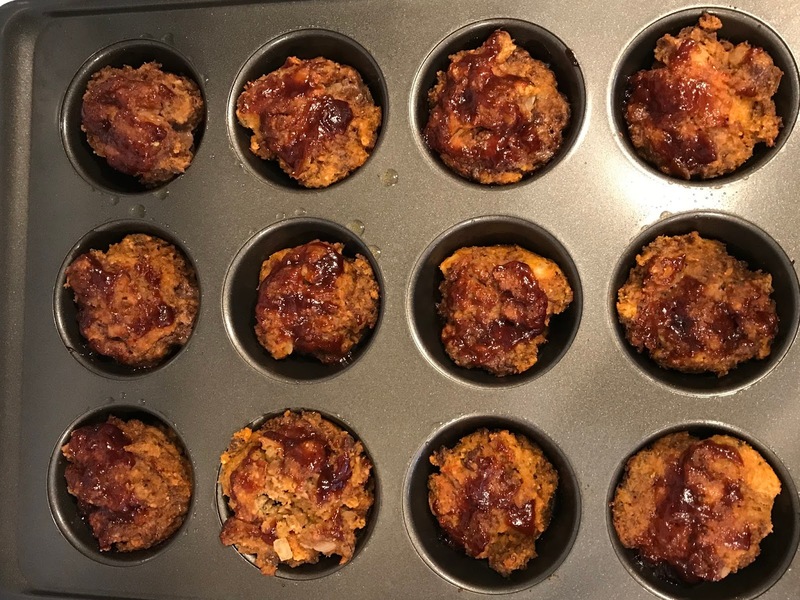 are meatloaf muffins. If you like meatloaf but want something that cooks quickly and is perfectly portioned, you'll want to try this. Serve with potatoes or rice and you're all set! + On a more serious note. I recently read this powerful post from one of my favorite bloggers, Joanna Goddard, about sexual harassment. What I love about her corner of the Internet, besides her thoughtful insights on all things from light-hearted to heavy, is the great reader engagement and comments. She wrote a brave piece on the tails of the Harvey Weinstein news and I appreciated going through all of the reader comments to realize the very clear but little-talked-about reality that it seems all women have experienced some sort of sexual harassment (and, in some cases, assault) at various points throughout their lives. I know I have. But we don't always talk about it, and we definitely don't always report it. It opens the door to an interesting and important conversation, I think. Have you been following the news or this topic at all? Thoughts? 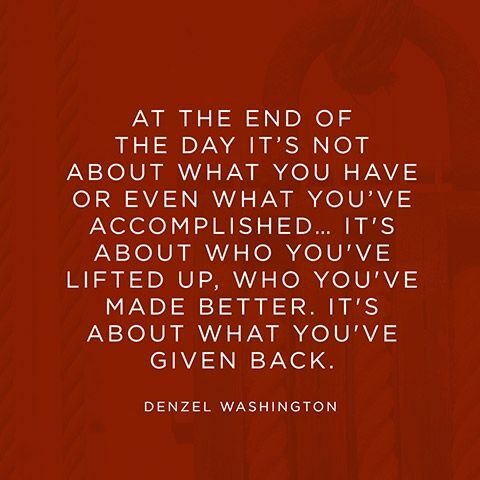 + I knew I loved Denzel. Enjoy this quote... and your weekend!